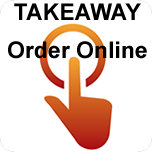 The BRITISH RAJ is the popular INDIAN TAKE AWAY in Castle. If you want to enjoy high quality take-out Indian food in the Northwich area then look no further. If you are a regular then welcome back, if a first time visitor then we’re pleased to see you. Either way we’re sure our menu will contain many appealing choices ready for you to order online.